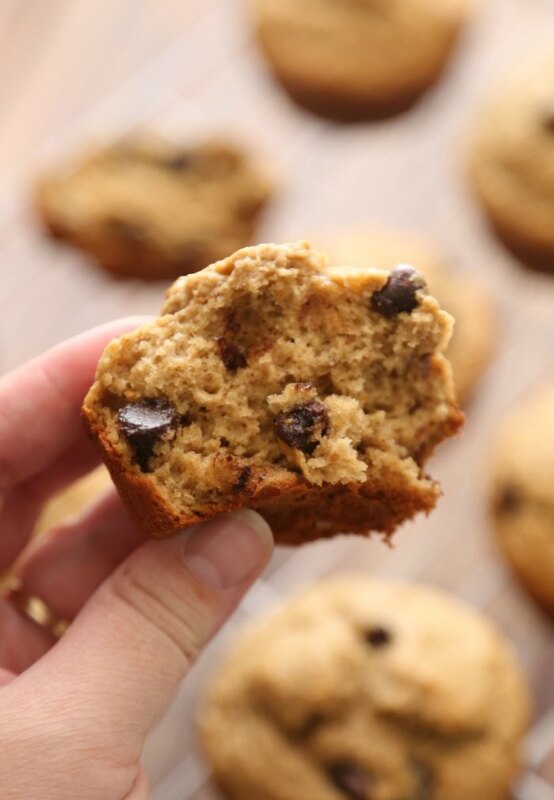 With no refined sugar (aside from chocolate chips) and no traditional flour, these peanut butter banana oatmeal muffins are a delicious treat that you can feel good about! The boys and I just baked another batch of these tasty muffins and the house still smells AMAZING! Seriously SO good – I wish “smell-o-vision” was really a thing! Since it’s not, you’ll just have to trust me and try these muffins yourself! I love that these muffins are full of natural ingredients. Obviously, they’re a great way to use up overripe bananas sitting on your counter (or in your freezer, if you’re like me). 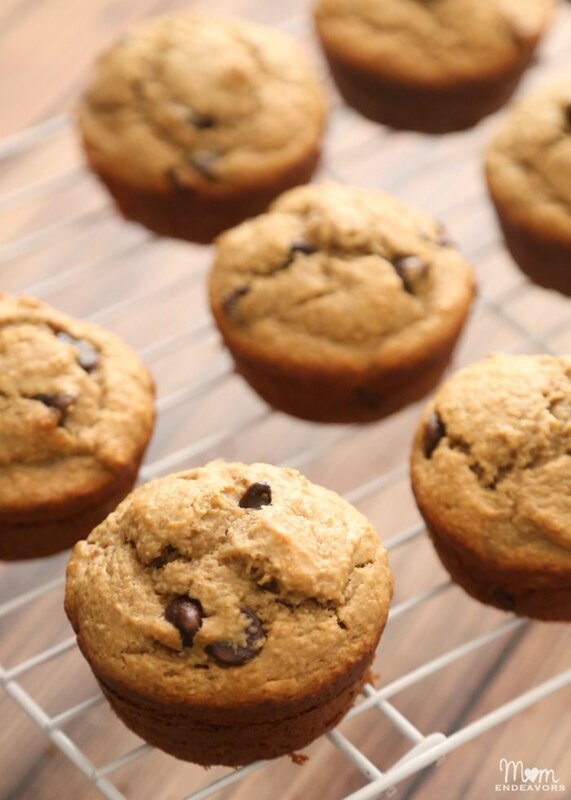 In addition to using bananas, there is NO traditional flour in these muffins and NO refined sugar (except for whatever chocolate chips you use – and really, you could make a substitution for those if you really wanted). YUM! So good! Ever since trying these strawberry banana oat muffins years ago, I love making muffins and cookies with oats instead of traditional flour. I grind up my own rolled oats (you can buy gluten free rolled oats to make sure your recipe is 100% gluten free) to make an oat flour base. It is SO easy and so inexpensive to do at home. Not only do we like the flavor of oats, but I find that my body responds better to the oat flour and I feel full longer. It does make the muffins more dense than traditional flour muffins, but our family still thinks they’re delicious! And again, I love that they’re full of mostly “better for you” ingredients. With no refined sugar (aside from chocolate chips) and no traditional flour, these peanut butter banana oatmeal muffins are a delicious treat that you can feel good about! In a large mixing bowl, mix mashed banana, peanut butter, eggs, honey, and vanilla. In a separate medium bowl, combine dry ingredients. Mix until well-mixed. Slowly add dry ingredients to large bowl with wet ingredients, stirring just until well-combined. Gently fold in chocolate chips. Spray muffin tins with cooking spray. Spoon batter into prepared muffin tin, filling each cup at least ¾ to full. Bake for 15 to 20 minutes until muffins cooked through (until a toothpick comes out clean). Enjoy! 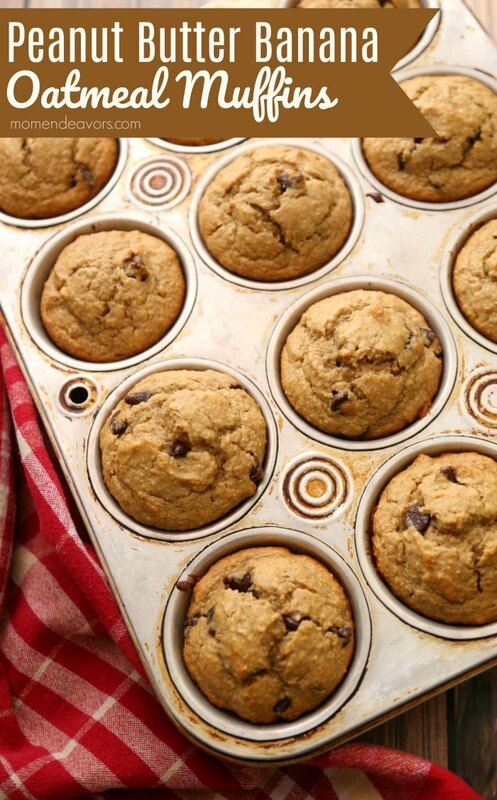 Store muffins in refrigerator or freeze. To make your own oat flour, grind approx. 3¼ C rolled oats in a blender or food processor. Super tasty! 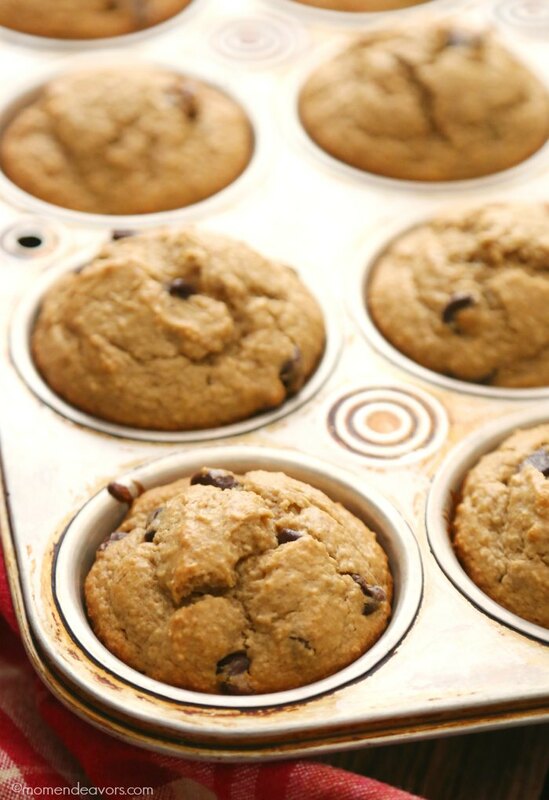 So, whip up a batch of these peanut butter oatmeal muffins to enjoy! They’re a big hit around our house!